I walked out to Snow White on Tuesday morning to discovered she'd been molested by a thief. In other words, my stereo got stolen on Monday night. It was a fancy one too - navigation system, DVD player, XM Radio and many other bells and whistles. I filed a police report and reported it to my insurance, so hopefully I'll be able to replace it in the near future. For some reason, the perpetrator decided not to take the DVD player that powers the TVs in the backs of the front seats. While the sounds system is busted, I was pleased to discover this evening that the DVD still powers the TVs and the kids' wireless headphones still work. This should make for a much easier ski trip tomorrow. 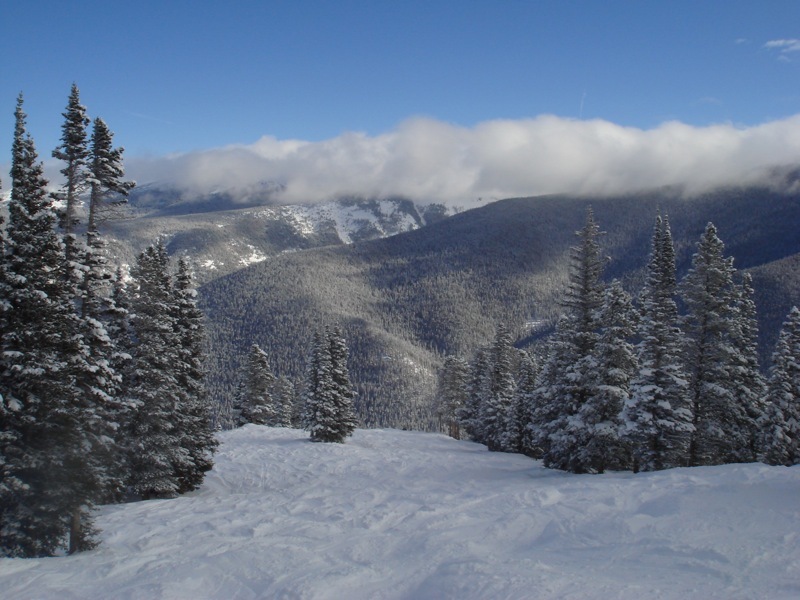 With ski traffic on I-70, I've spent a lot of time traveling to and from the slopes on the weekends. We hope to miss the morning traffic by leaving early (6:30). However, they don't get out of ski school until 3:00, so we might be smack dab in the middle of the afternoon jam. With fresh powder in the forecast, I think it'll be worth it. I just hope my knee holds up. I promise I'll go to the doctor in a couple weeks - after a few more powder days. Why our holiday decorations are still up, I couldn’t tell you, but I do have the answer you’re all looking for: the date of the next Denver Tech Meetup. You remember, the Denver Tech Meetup? The User Group without the User Group? But with beers? Denver’s least ambitious monthly(ish) (ha!) gathering of technology workers? Yes, I’ve failed spectacularly in my ambition to hold these things every other month, as was the expectation back in 2005, but I’ve been a little busy. And as I’m fond of telling our clients, a percentage of something is better than an entirety of nothing, right? So ignore the inset picture - I posted it merely for nostalgic reasons; two Thursdays from today we’ll convene at our probationary new venue (my bartending friend is now way uptown) and frequent Jabber hangout, the Celtic. 18th and Blake, for the Denver folks in the audience. Still very easy walking distance for yours truly, not to worry. Let’s you and me cram as many Tech Meetups in as we can before I flee back east before the hell that is the Denver summer. If things break as I hope they will next week and the week after, it’s possible that I’ll have my own not-so-captive audience to drag along. See you at the Celtic. No Smithwick’s, sadly, but there is Murphy’s. It's shaping up to be a good month for meetups: Silicon Valley next week, Denver the following. I'm participating in a Consulting Panel at the local Ruby on Rails user group that same night. Hopefully they won't mind if I have a couple cold ones beforehand. This year's TSSJS is starting to look like an excellent conference. I'm particularly excited to be moderating the following Expert Panel. The leading advocates of today's popular Web frameworks will duel under the Vegas Lights. Come and learn when to use your favorite framework and to see if it can live up to its hype. We're talking about productivity, scalability and maintainability of Java-based Web applications. The emerging trend is that simplicity is better and productivity matters. Furthermore, if maintainability is the most costly part of any application -- how do these frameworks perform? Attend if you're a Java Web developer, or if you simply like good entertainment. A working knowledge of the popular Java Web framework options will make this session more fun. If you haven't worked with any framework, come and learn who has the best spokesman. I plan on bringing the boxing bell from OSCON 2005 to make this session one of the best in the show. I'll be coming up with a list of questions for these experts in the next couple of months. In the meantime, if you have any suggestions, please let me know. 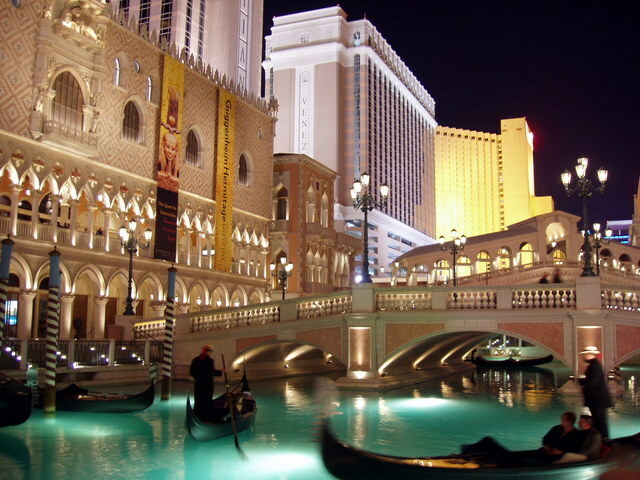 With a venue like The Venetian, why wouldn't you go? The first time I went skiing this season (back in mid-December), I had a lot of pain in my left knee. It hurt tremendously when I'd get on and off the lift. It seemed to be caused by bending it. I tried skiing a bump run in the afternoon, but that hurt even worse and it took me about 30 minutes to work my way down Drunken Frenchman at Mary Jane. The next week, I went to the doctor and he said it looks like I have a cartilage tear. He said I could relax and reduce my activities for a month and I'd have a 50/50 chance of having to have surgery (notice that he didn't say should). Apparently, the surgery is pretty minor and I could be back in action in a week or so. The rest of December, I stuck to blues and my knee quit bothering me so much. Even the powder day at Steamboat wasn't too bad. 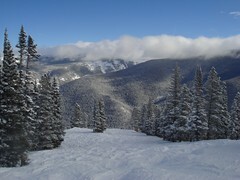 Earlier this week, I was able to ski 7 runs in 2 hours at Mary Jane - 5 of those being bump runs. So am I back in action w/o surgery? No, not really. I am able to ski blacks w/o too much pain, but afterwards it does tend to be pretty sore. Same thing after riding my bike to work or playing basketball. What would you do? This is turning out to be one of the best ski seasons ever and I feel like I'm at 80% of where I could be w/o the torn cartilage. I feel like I can make it a couple more months, have surgery in March and be ready for mountain bike season in April. Am I putting my knee in grave danger or is it just a matter of handling the pain at this point?